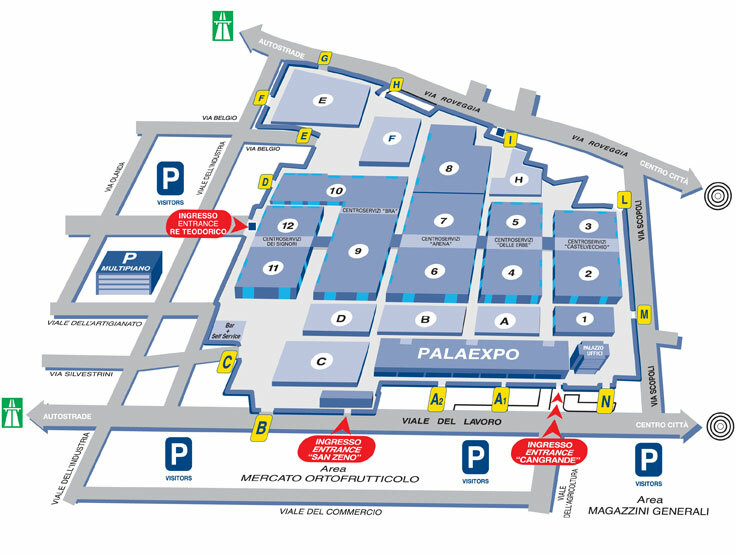 Map and exhibition centre services - Veronafiere S.p.A.
Service active at Centroservizi delle Erbe (pav.4/5– box n. 3, 4, 5) during the most important events. Office with ticket office and railway bookings service at Centroservizi Arena (pav. 6/7 box n. 6). Service available to operators and visitors during major events. The service is free and subject to time limits. Service active at the Cangrande, San Zeno and Re Teodorico Receptions during events. At Centroservizi Arena pav. 6/7, Centroservizi Dei Signori pav. 11/12, at the Cangrande entrance. Service available to visitors and operators during major events (ex fruit and vegetable market area). 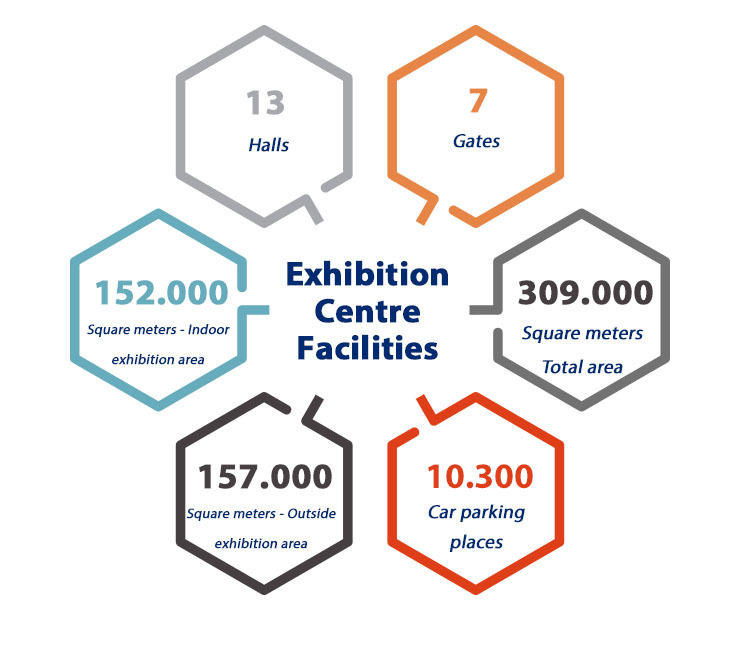 The service is active and free of charge during the events that receive most visitors, available to visitors and exhibiters. Service available during events, on the ground floor of Palaexpo. Service active at Centroservizi delle Erbe in pav. 4/5 during events. Service available to operators and visitors during major events, on the ground floor of Palaexpo.